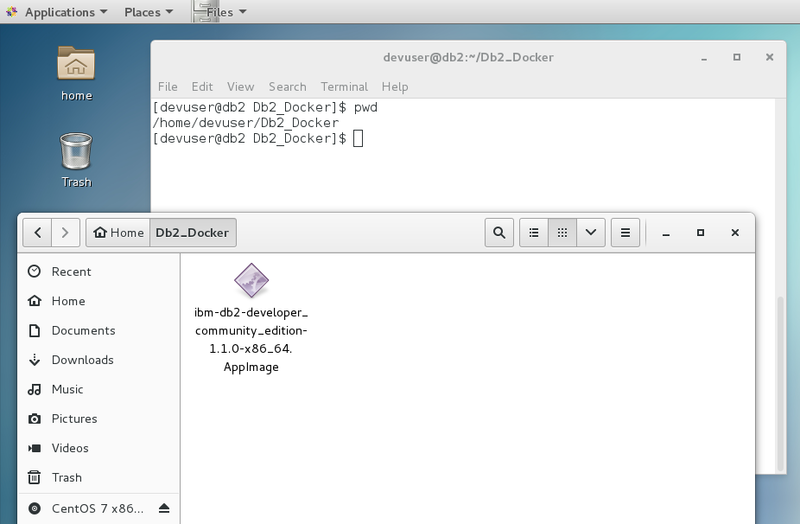 It is available for Mac, Windows, and Linux as a Docker or Non-Docker installation. It can be used both for standalone and clustered installations. 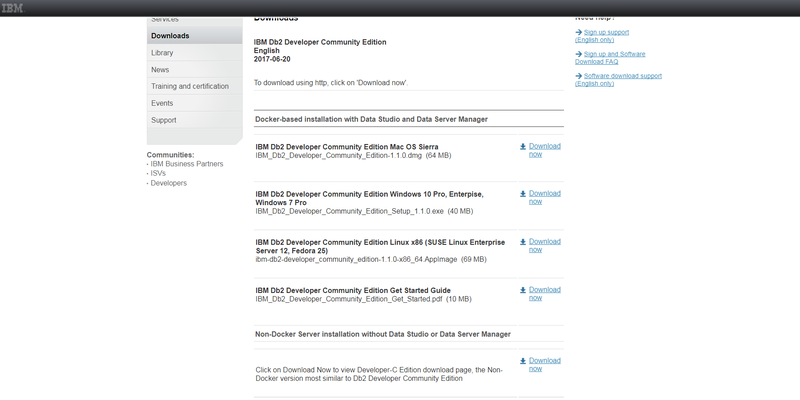 We will also install Data Server Manager, which is a successor to the IBM Data Studio Web Console. 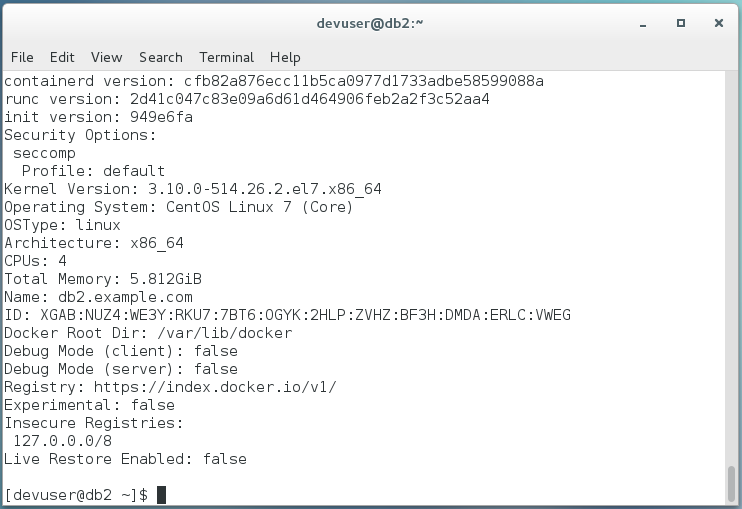 This demo requires a basic knowledge of Docker (or generally containers – no commands needed, just principles) and the ability to install Centos 7 operating system. 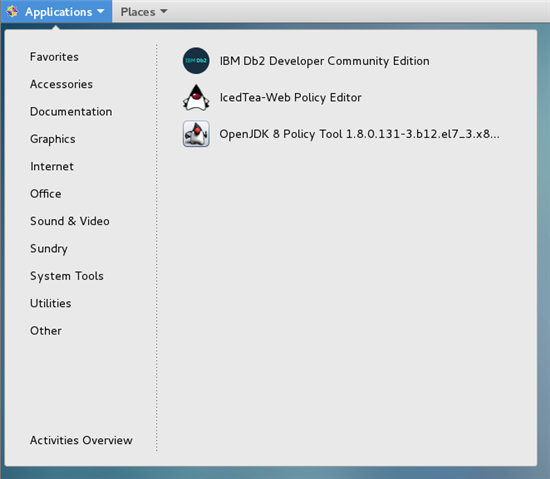 Log in with your IBM ID, accept the license and check the I agree checkbox. 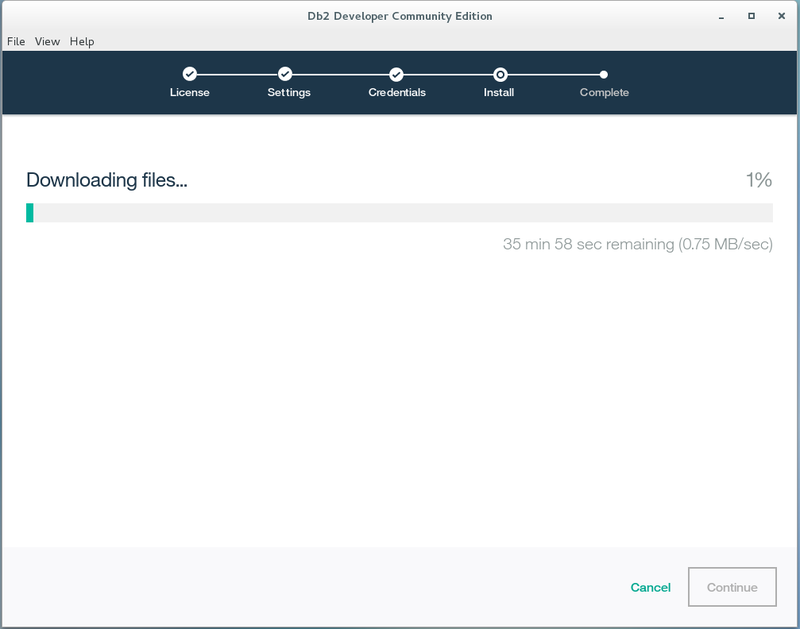 Download the edition for Linux x86. I use VMware Workstation, but any other tool (such as VirtualBox) would be sufficient. 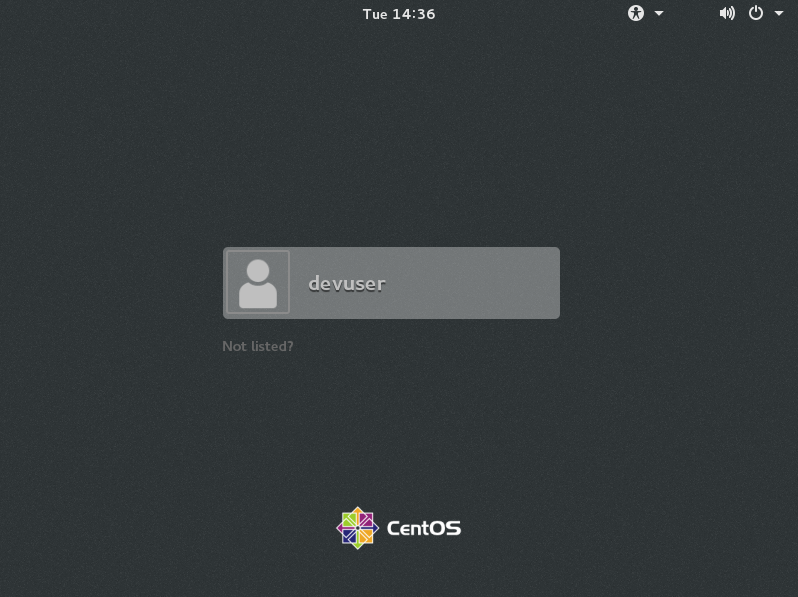 Prepare Centos 7 installation with the latest updates and no other supplements on this virtual machine with at least 1 admin non-root user. Log in to a virtual machine as a non-root user (in my case, it is devuser). Upload the AppImage file that you downloaded from the IBM pages and open the terminal. 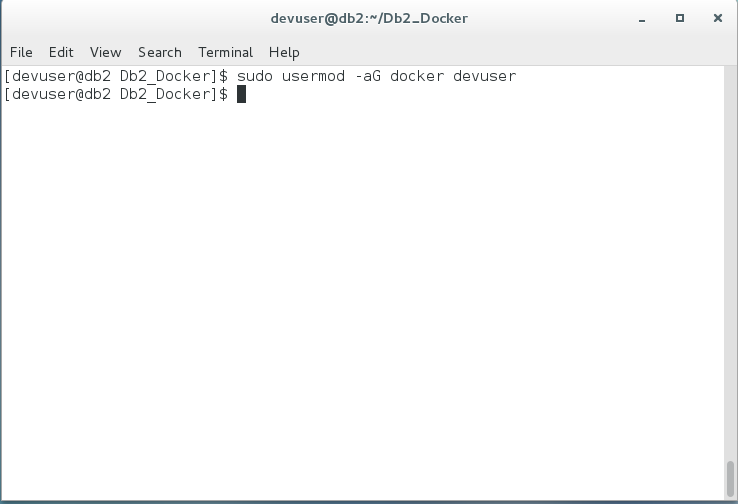 Install Docker repository. 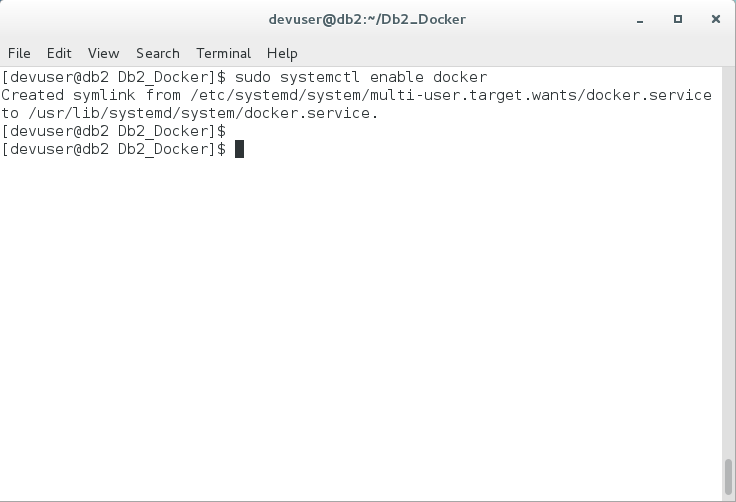 Download the latest version of Docker and install it. This may take several minutes. 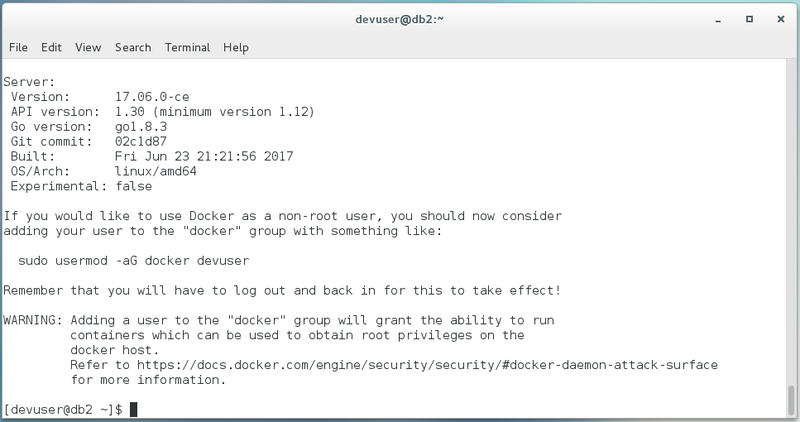 Add a user to the docker group to be able to execute the Docker commands. Be sure to use your user in the command above! 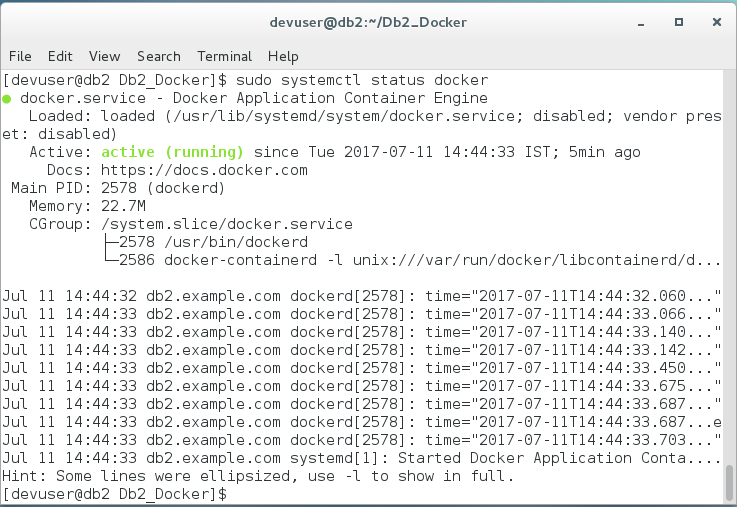 Enable Docker to start automatically during the booting of the system. The system will ask for the password. 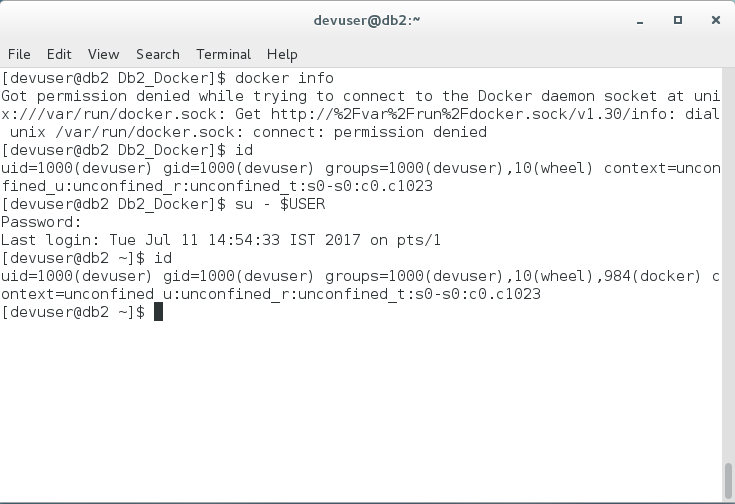 When you issue the id command again, you will see the docker group in the list. 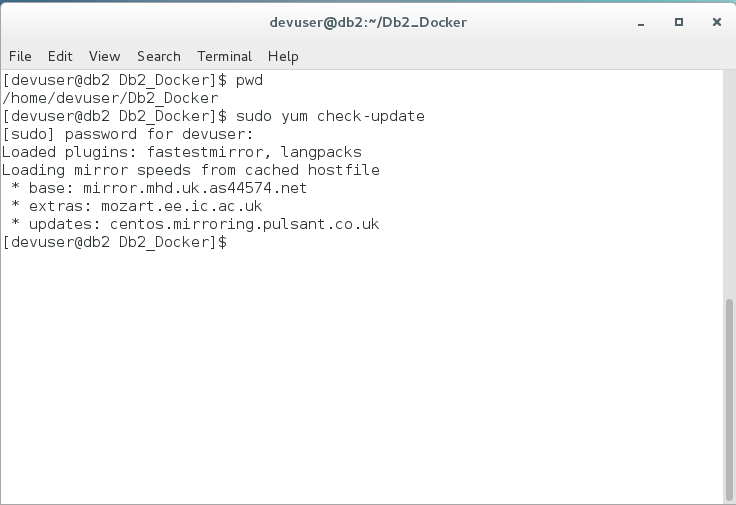 When you run the command docker info again, you should see something like this at the end of the output. Check if you have opened the ports 11080-11082 and 50000. 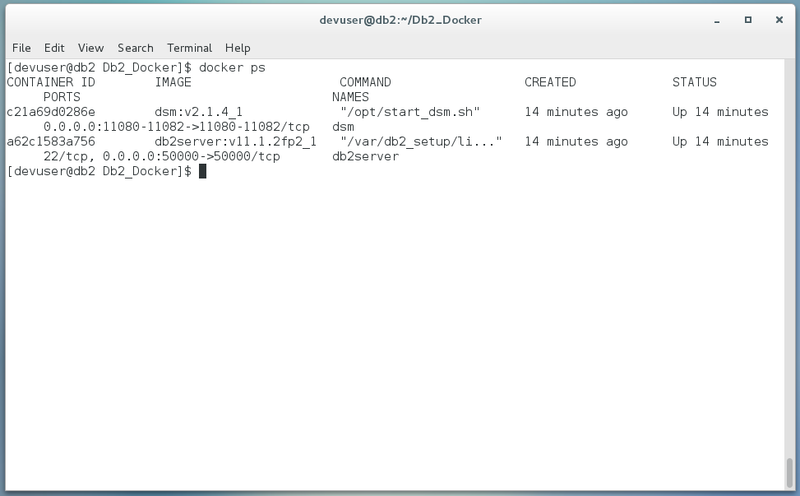 Port 50000 is for Db2; ports 11080-11082 are for Data Server Manager. The following two commands list open ports and reload the configuration of the firewall. 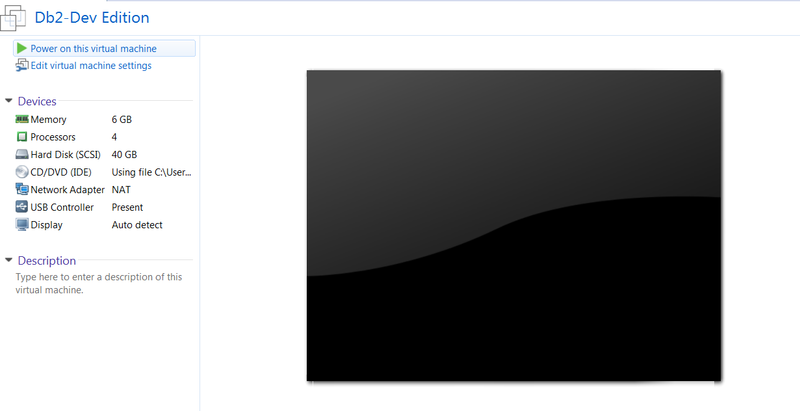 Move to the location where the AppImage is stored. Be sure that the file has an executable privilege. If not, use chmod command to change it. Click on Yes or No. I want to integrate so I use Yes. Agree to the license terms and click Continue. 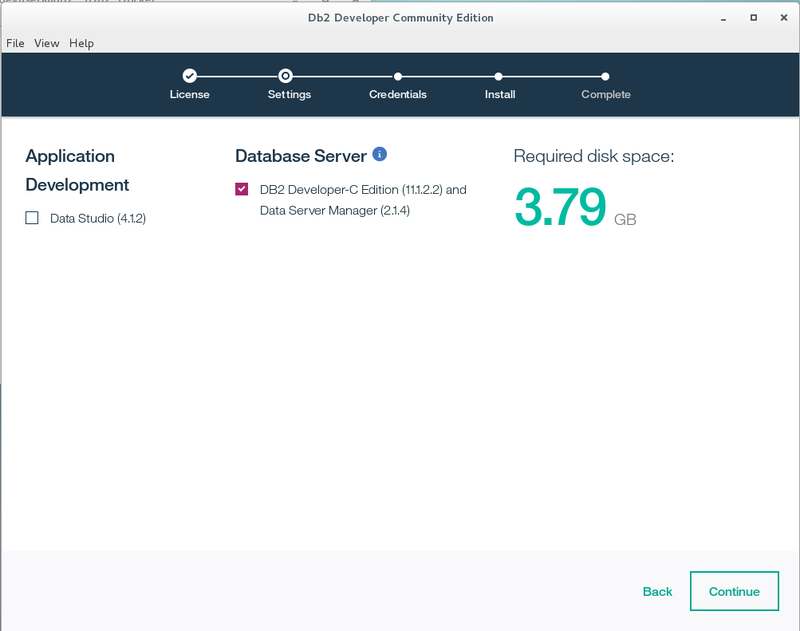 If you want to also install the Data Studio, tick the checkbox. I will leave it unchecked and click Continue. 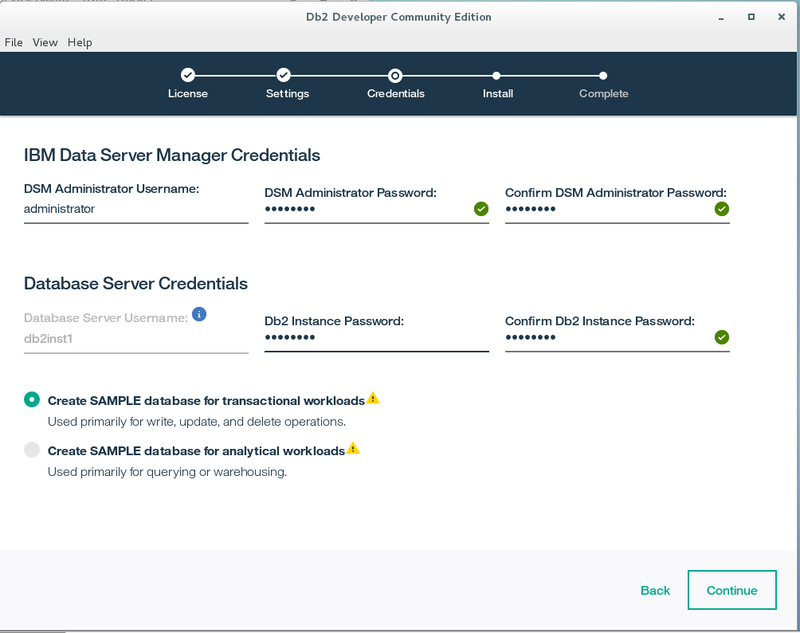 Type the credentials that will be used for the Data Server Manager and Database Server. 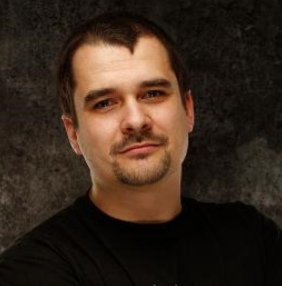 The value db2inst1 is prepopulated and fixed. You can choose from two versions of Sample database. The first is for OLTP (transactional) and the second for an OLAP (analytical) workload. I will use transactional. The installation process starts. It may take some time, depending on your network connection. Click on close to close the window. 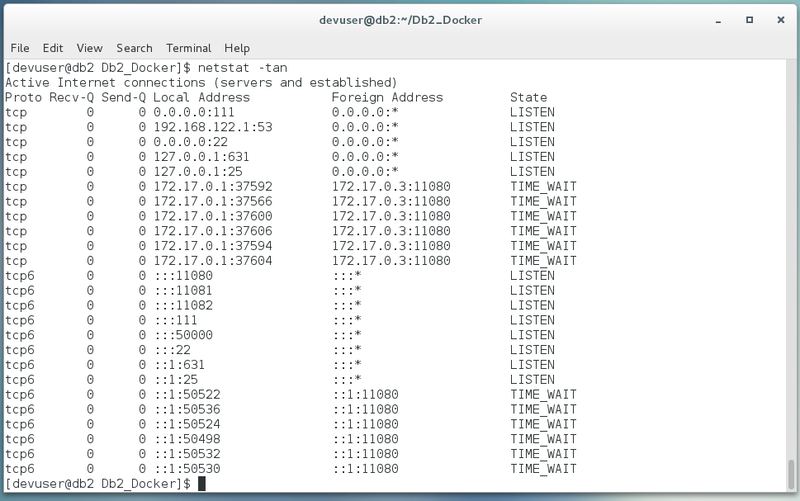 Check whether IBM Db2 is listening on port 50000. Issue the command netstat –tan and check the output. If you see port 50000 occupied, the installation and start of the database were successful. 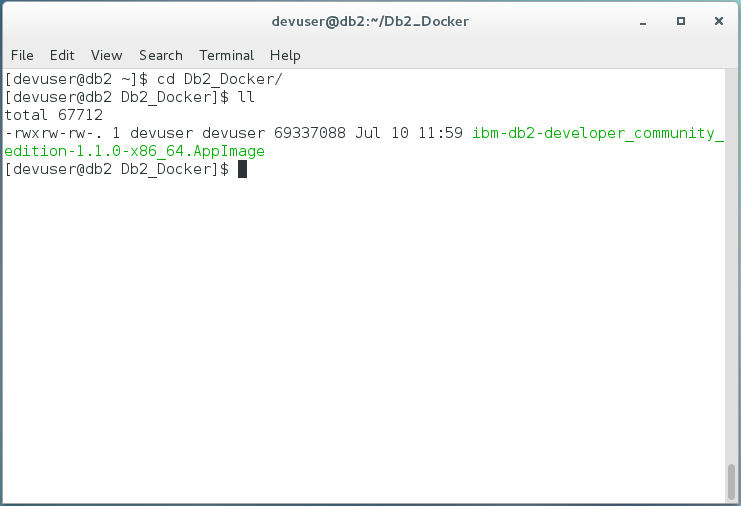 Then execute the following command to open the terminal in the container as db2inst1 user in the Db2 container. 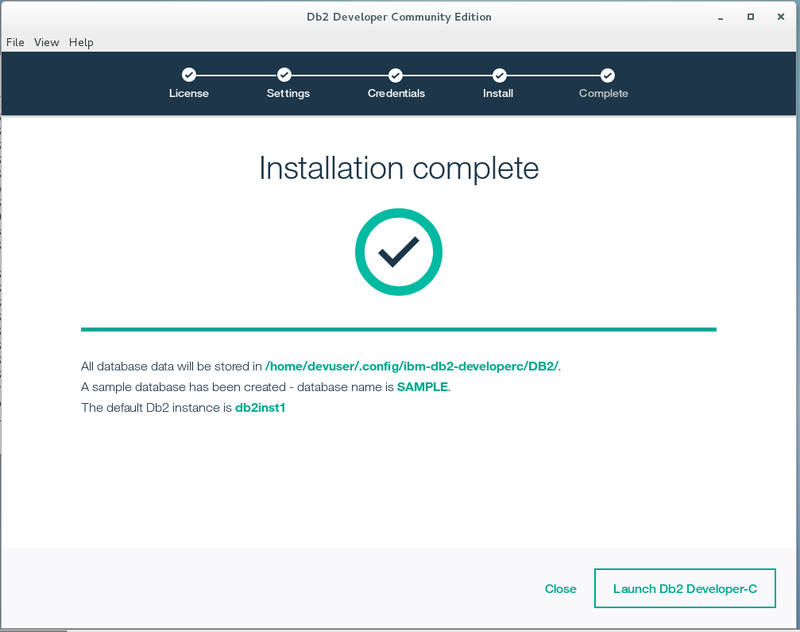 …to see if you are able to connect to the SAMPLE database created during the installation process. Perfect! 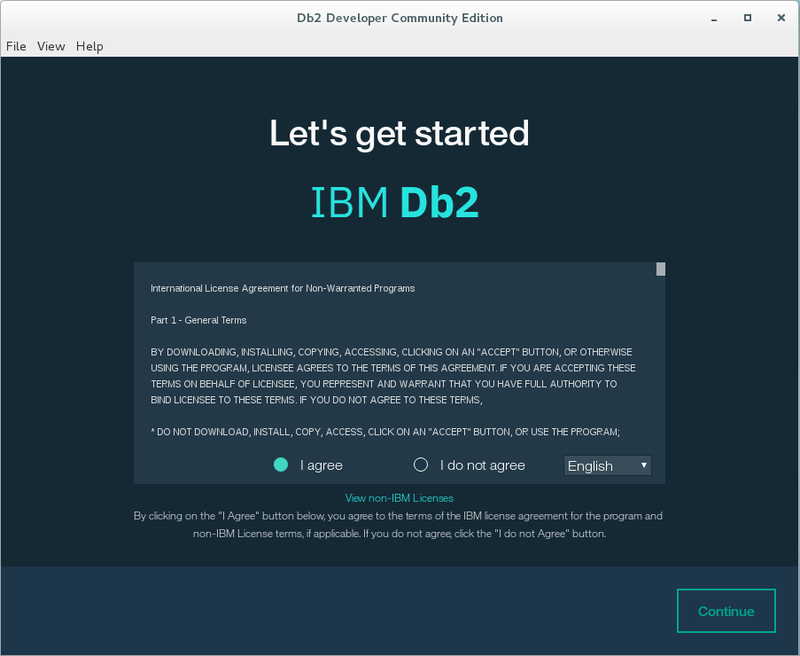 You have successfully installed IBM Db2 Developer Community Edition.